On August 29, 2018, Assistant United States Attorney for the District of Columbia Rhonda L. Campbell sent a communication to Dr. David Keanu Sai, Chairman of the Council of Regency and Petitioner for an extension to respond to the Emergency Petition for Writ of Mandamus filed with the United States District Court for the District of Columbia. HONOLULU, 17 July 2018 — On Monday morning, 25 June 2018, the Chairman of the acting Council of Regency for the Hawaiian Kingdom, H.E. 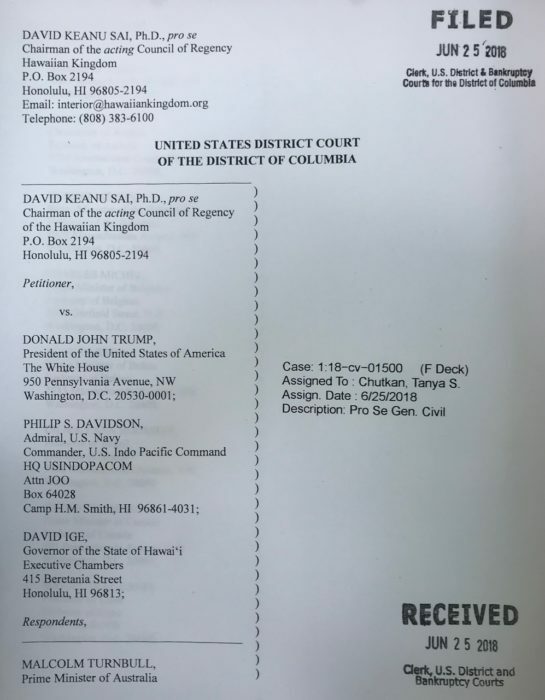 David Keanu Sai, Ph.D., filed with the United States District Court for the District of Columbia a Petition for an Emergency Writ of Mandamus against President Donald John Trump. This Petition concerns the illegal and prolonged occupation of the Hawaiian Islands and the failure of the United States to administer the laws of the Hawaiian Kingdom as mandated under Article 43 of the 1907 Hague Convention, IV, Respecting the Laws and Customs of War on Land (36 Stat. 2199) and under Article 64 of the 1949 Geneva Convention, IV, Relative to the Protection of Civilian Persons in Time of War (6 U.S.T. 3516). The United States has ratified both treaties. The case has been assigned to Judge Tanya S. Chutkan under civil case no. 1:18-cv-01500. Under American rules of civil procedure, a petition for writ of mandamus is an administrative remedy that seeks to compel an officer or employee of the United States or any of its agencies to fulfill their official duties. It is not a complaint alleging certain facts to be true. The Hague and Geneva Conventions obligates the United States, as an occupying State, to administer the laws of the occupied State. There is no discretion on this duty to administer Hawaiian Kingdom law. This duty is mandated under international humanitarian law. Furthermore, according to the U.S. Constitution, treaties, such as the Hague and Geneva Conventions, are the supreme law of the land, and the United States is bound by them just as they are bound by the U.S. Constitution or any of the laws enacted by the Congress. Consequently, the failure of the United States to administer Hawaiian Kingdom laws has created a humanitarian crisis of unimaginable proportions where war crimes have and continue to be committed with impunity. War crimes have no statutes of limitation. The Petition mentions Iraq’s violation of international humanitarian law when it invaded Kuwait on 2 August 1990, and, like the United States, did not administer Kuwaiti law as mandated by the Hague and Geneva Conventions. This led to the formation of the United Nations Compensation Commission (UNCC) by the United Nations Security Council under resolution 687 (1991). The mandate of the UNCC was to process claims and pay compensation for losses or damages incurred as a direct result of Iraq’s unlawful invasion and occupation of Kuwait. In total, the UNCC awarded $52.4 billion dollars for an unlawful occupation that lasted seven months. If this formula is applied to the unlawful invasion and occupation of the Hawaiian Kingdom since 16 January 1893 that compensation amount would be staggering. In the Petition, the Hawaiian Kingdom begins with a preliminary statement concerning international proceedings held at the Permanent Court of Arbitration, The Hague, Netherlands. Chairman Sai served as Agent for the Hawaiian government in Larsen v. Hawaiian Kingdom, PCA Case no. 1999-01. Before forming the ad hoc tribunal, the PCA acknowledged the Hawaiian Kingdom’s continued existence as an independent State and that the Hawaiian Kingdom would access the jurisdiction of the PCA as a non-Contracting Power pursuant to Article 47 of the 1907 Hague Convention for the Pacific Settlement of International Disputes. 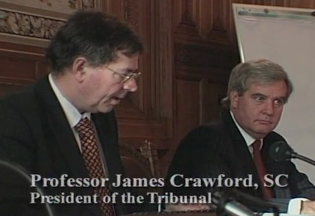 The Tribunal was comprised of three renowned international jurists, namely, Judge James Crawford, SC, current member of the International Court of Justice, Judge Christopher Greenwood, QC, former member of the International Court of Justice, and Dr. Gavan Griffith, former Australian Solicitor General. Larsen sought to have the Tribunal adjudge that the United States had violated his rights. He then sought the Tribunal to adjudge that the Hawaiian government was liable for those violations. Although the United States was formally invited, by the Hawaiian government, to join in the arbitration on 3 March 2000, it chose not to. The United States absence thus raised the indispensable third-party rule for Larsen to overcome. In its award (para. 7.4), however, the Tribunal acknowledged the Hawaiian Kingdom’s lawful political status since the nineteenth century. After returning from oral hearings held at The Hague in December of 2000, the Council of Regency adopted a policy of education and exposure of the Hawaiian Kingdom’s lawful political status as an independent State. 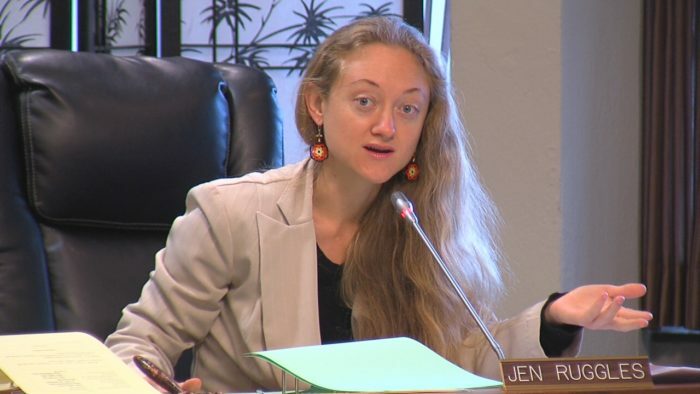 The Council made this decision to address the American policy of denationalization—Americanization that was implemented throughout the schools in the islands since 1906. Denationalization is a war crime. Within three generations, Americanization had effectively obliterated the national consciousness of the Hawaiian Kingdom in the minds of Hawai‘i’s people. This denationalization has resulted in a common misunderstanding that since President Barrack Obama was born in Hawai‘i, he was born within the United States. He was not. He was born in the Hawaiian Kingdom to an American mother and a Kenyan father. As such, he was born an American citizen by parentage—jus sanguinis, but not as a natural born citizen—jus soli. It would take 18 years of education and exposure to prompt the Hawaiian government to file the Petition for Emergency Writ of Mandamus. The Petition was filed with the Federal Court in accordance with 28 U.S.C. §1331 (federal question jurisdiction), 28 U.S.C. §1651(a) (writ of mandamus), and 5 U.S.C. §702 (waiver of sovereign immunity). The Petition also names as nominal respondents twenty-eight countries that had diplomatic relations with the Hawaiian Kingdom to include treaties, and five international agencies. All of the respondents received a copy of the filed Petition, through the United States Postal Service, with a cover letter noting that a summons would be forthcoming. They include the United States, the Indo-Pacific Command, the State of Hawai‘i, Australia, Austria, the Bahamas, Belgium, Belize, Brazil, Canada, Chile, China, Cuba, France, Germany, Guatemala, Hungary, Italy, Japan, Luxembourg, Mexico, the Netherlands, New Zealand, Norway, Peru, Portugal, Russia, Spain, Sweden, Switzerland, and the United Kingdom. Also included was the United Nations Secretary General, the President of the United Nations General Assembly, the President of the United Nations Security Council, the President of the United Nations Human Rights Committee, and the Chairman of the Permanent Court of Arbitration’s Administrative Council. 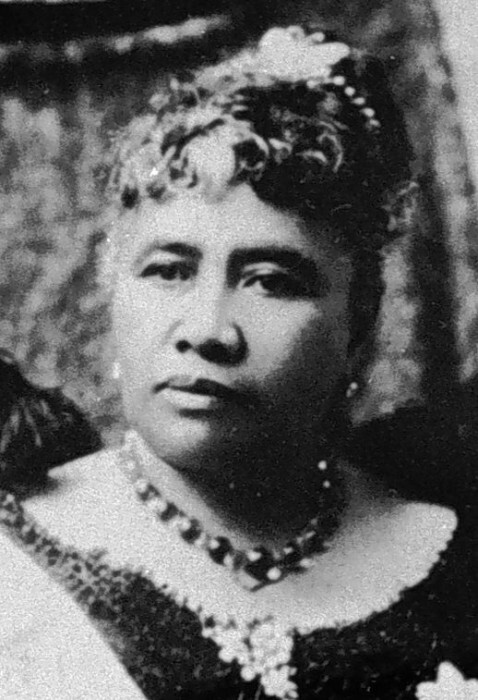 On 9 March 1893, President Grover Cleveland, at the request of Queen Lili‘uokalani, conducted an investigation into the overthrow of the Hawaiian Kingdom government that occurred on 17 January 1893. Her Majesty notified the President that the overthrow of her government was committed by the United States diplomat assigned to the Hawaiian Kingdom, John Stevens, and by the unauthorized landing of United States armed forces. When President Cleveland concluded that by an act of war committed against the Hawaiian Kingdom on 16 January 1893, which led to the unlawful overthrow of the Hawaiian government the following day, he acknowledged the situation under international law transformed from a state of peace to a state of war. Only by way of a treaty of peace could a state of war be transformed back to a state of peace. To explain this transformation, Chairman Sai, as Hawaiian Ambassador-at-large, authored a memorandum titled The Larsen v. Hawaiian Kingdom Case at the Permanent Court of Arbitration and Why There Is An Ongoing Illegal State of War with the United States of America Since 16 January 1893 (16 October 2017). This memorandum has been translated into Farsi, French, German, Italian, Japanese, Russian and Spanish. On the very same day the President notified the Congress of the illegal overthrow of the Hawaiian government, an agreement of restoration and peace was negotiated between the new U.S. diplomat assigned to the Hawaiian Kingdom, Albert Willis, and the Queen. Negotiations began on 13 November and lasted until 18 December 1893. However, due to political wrangling going on in the Congress, the President was unable to fulfill the United States’ obligation under the agreement of peace with the Queen. Five years later in 1898, the United States fraudulently annexed the Hawaiian Islands during the Spanish-American war and fortified it as a military outpost. Hawai‘i currently serves as headquarters for the U.S. Indo-Pacific Command. In 2013, the New York Times reported North Korea’s announcement that “all of its strategic rocket and long range artillery units ‘are assigned to strike bases of the U.S. imperialist aggressor troops in the U.S. mainland and on Hawaii.” The Hawaiian Kingdom’s existential threat has been heightened today by the rhetoric of U.S. President Donald Trump and North Korea’s Kim Jong-un. Instead of establishing a system to administer Hawaiian Kingdom law in 1893, the United States maintained their installed insurgency, calling itself the Provisional government, who, under the protection of U.S. troops, unlawfully seized control of the Hawaiian government apparatus. In 1894, these insurgents renamed themselves as the Republic of Hawai‘i. Six years later, the U.S. Congress changed that name to the Territory of Hawai‘i. And in 1959, Congress changed that name to the State of Hawai‘i. The U.S. Congress could no more establish a government in the Hawaiian Kingdom by enacting domestic statutes, than it could establish a government in Germany or in the United Kingdom. Since the United States’ admitted unlawful overthrow of the Hawaiian Kingdom government in 1893, there has been no lawful government in the Hawaiian Islands until the Hawaiian Council of Regency was established in 1995. The unlawful overthrow of the Hawaiian government 125 years ago, however, did not affect the continuity of the Hawaiian Kingdom as an independent State under international law. The Hawaiian Kingdom continued to remain in existence just as Iraq continued to exist despite its government being overthrown in 2003 by United States armed forces. David Bederman & Kurt Hilbert, “Arbitration—UNCITRAL Rules—justiciability and indispensible third parties—legal status of Hawaii,” 95 American Journal of International Law (2001) 927, at 928. In 2006, the United Nations Human Rights Council was formed as an intergovernmental organization within the United Nations system. The Council replaced the United Nations Commission on Human Rights that was established in 1946. The Council is comprised of 47 member States of the United Nations that serve for a three year term. On September 29, 2011, the Council passed resolution 18/6 in order to establish an Independent Expert for the promotion of a democratic and equitable international order. The Council decided to establish a new Independent Expert, with the authority to identify possible obstacles to the promotion and protection of a democratic and equitable international order, to identify best practices and to work in cooperation with States in order to foster the adoption of measures at the local, national, regional and international levels. The President of the Council, Ambassador Laura Dupuy Lasserre of Uruguay, nominated Dr. deZayas and on March 23, 2012 he was elected by the Council as the first Independent Expert on the promotion of a democratic and equitable international order by the United Nations Human Rights Council. The United States served as a member State of the Council when Dr. deZayas was elected. The Council requested the newly elected Independent Expert to present its first report to the Council at its twenty-first session in 2012. An interim report was submitted in 2012 that was followed by a full report in 2013. Yearly reports have been submitted ever since. An Independent Expert, also known as a Special Rapporteur, is a person who examines and reports on a specific human rights issue or theme. 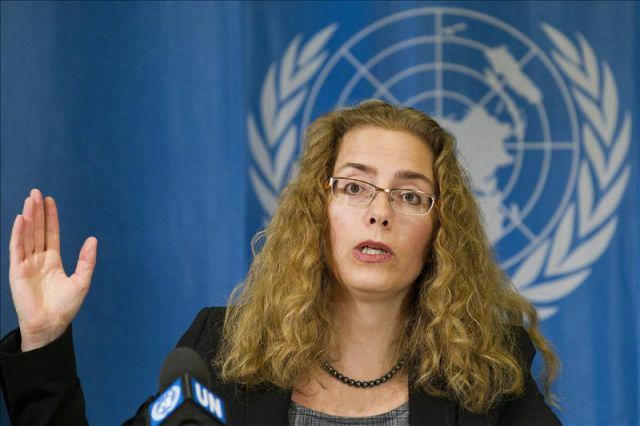 The Independent Expert reports to both the United Nations Human Rights Council and the United Nations General Assembly. Dr. deZayas completed two three-year terms where his mandate was completed on April 30, 2018. Of the fifteen topics of responsibility for the Independent Expert that come under its mandate, two topics resonate regarding Hawai‘i’s situation of a prolonged and illegal occupation. The right of all peoples to peace. To work in cooperation with States in order to foster the adoption of measures at the local, national, regional and international levels aimed at the promotion and protection of a democratic and equitable international order. The Commission on Human Rights resolution 2002/71, adopted on April 25, 2002, regarding “the right of peoples to peace” affirmed “the obligation of all States to refrain in their international relations from the threat or use of force against the against the territorial integrity or political independence of any State, or in any other manner inconsistent with the purposes of the United Nations.” It is apparent that this reference would directly apply to the United States violation of the Hawaiian Kingdom’s territorial integrity and its political independence, which brought about an illegal state of war. 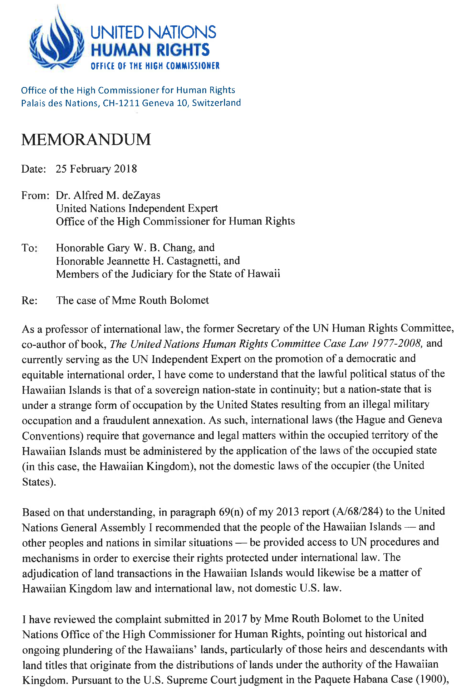 In his 2013 Report to the United Nations General Assembly, Dr. deZayas was unaware of Hawai‘i’s true legal status as an independent and sovereign State that has been under an illegal and prolonged occupation. He assumed that Hawai‘i was a part of the United States and that the native population (aboriginal Hawaiians) had the status of indigenous peoples with a right to self-determination. This misrepresentation is understandable given the fact that the United States and the State of Hawai‘i actively promoted this false narrative, and some aboriginal Hawaiians even attend sessions of the United Nations Permanent Forum on Indigenous Issues in New York, in addition to participating in United Nations Human Rights bodies, in Geneva, promoting aboriginal Hawaiians as a colonized people and not as nationals of an occupied State. The underlying problem taken here by the Committee of experts is their failure to distinguish between the government and the nation-state (State). It was admitted by the United States that the overthrow was illegal, but it was an illegal overthrow of the government and not the nation-state. Despite the illegal overthrow of the government, the Hawaiian Kingdom, as a nation-state, would continue to exist under a prolonged occupation by the United States. This is similar to the American overthrow of the Iraqi government in 2003, but Iraq, as a nation-state, continued to exist under a military occupation until it ended in 2009. Iraqi nationals during the period of occupation were not a colonial territory of the United States. In addition, the nation-state is called the “Hawaiian Kingdom,” not the “Kingdom of Hawai‘i.” The term “Kingdom of Hawai‘i” was used in the United States 1993 Apology Resolution, Public Law 103-150. It is an American term. Based on this misinformation of Hawai‘i’s legal status, Dr. deZayas provided the following recommendation in paragraph 69(n) of the 2013 Report. 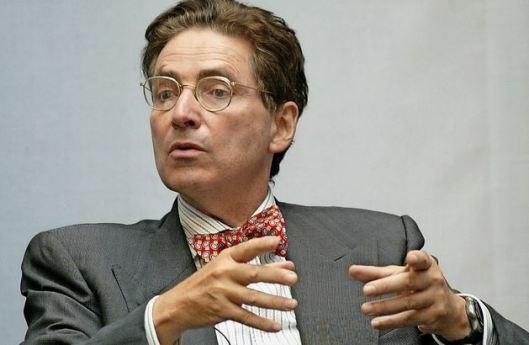 Five years later, Dr. deZayas, did a complete reversal on his understanding of Hawai‘i’s legal status from a colonized people with a right to self-determination to a nation-state, called the Hawaiian Kingdom, that has been under a military occupation by the United States since 1893. “I have come to understand that the lawful political status of the Hawaiian Islands is that of a sovereign nation-state in continuity; but a nation-state that is under a strange form of occupation by the United States resulting from an illegal military occupation and a fraudulent annexation. As such, international laws (the Hague and Geneva Conventions) require that governance and legal matters within the occupied territory of the Hawaiian Islands must be administered by the application of the laws of the occupied state (in this case the Hawaiian Kingdom), not the domestic laws of the occupier (the United States). Here follows Dr. deZayas’ Memorandum in its entirety, which can be downloaded in PDF format. 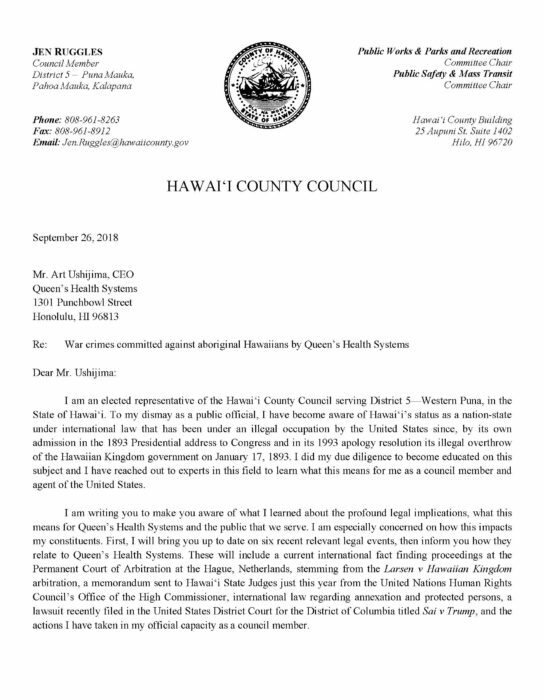 Dr. deZayas’ Memorandum was sent by the Swiss Postal service, La Poste, in Geneva, to the United States President, the Secretary of State, the State of Hawai‘i Attorney General, a State of Hawai‘i Judge Gary W.B. Chang of the Land Court, and State of Hawai‘i Judge Jeanette H. Castagnette of the First Circuit. Mrs. Bolomet is a defendant in a case before both Judge Chang and Judge Castagnetti. The ongoing illegal state of war between the Hawaiian Kingdom and the United States since 1893 and the prolonged occupation has violated all norms of international law. As we are approaching the international exposure of the prolonged occupation through the international commission of inquiry proceedings stemming from the Larsen v. Hawaiian Kingdom held under the auspices of the Permanent Court of Arbitration, it is timely to address other wars and subsequent occupations that the United States was involved, which eventually came to an end with the payment of reparations. These were the wars with Japan from 1941-51 and with Italy from 1938-47. Here follows the reparations for war paid by the Japanese under the 1851 Treaty of Peace and by the Italians under the 1947 Treaty of Peace. Reparations were made by Japan pursuant to Article 14(a), 1951 Japan Treaty of Peace, which states, “It is recognized that Japan should pay reparations to the Allied Powers for the damage suffering caused by it during the war.” Below are Japanese reparations to countries for 10 years of war (1941-51). Italian reparations to countries for 9 years of war (1938-47) were made pursuant to Article 74 of the 1947 Italian Treaty of Peace. As a basis to calculate the amount of reparations that could be owed to the Hawaiian Kingdom by the United States up to the year of 2017, which is 124 years of war, the Japanese and the Italian reparations paid could serve as a guide by applying their years of war to the years of war with the Hawaiian Kingdom. In the case of Japan, reparations to be paid by the United States could be calculated at $25 billion, which is $200 million annually multiplied by 124 years of war with the Hawaiian Kingdom. In the case of Italy, reparations could be calculated at $12 billion, which is $99 million annually multiplied by 124 years of war with the Hawaiian Kingdom. In the United States, Japanese assets seized amounted to $85 million (inflation conversion for 2017—$752 million), and Italian assets seized amounted to $62 million (inflation conversion for 2017—$766 million). Pursuant to Presidential Executive Order no. 9567—Alien Property Custodian (1945), the United States took title by “vesting” of all property of Japan and Germany and their nationals. Under the 1948 War Claims Act proceeds derived from these assets would not be returned, but rather placed in a War Claims Fund from which payments would be made to United States citizens that suffered as a consequence of the war with Japan and Germany. Assets held by the United States and other States who are parties to the conflict since January 16, 1893, to include their nationals, within the territorial jurisdiction of the Hawaiian Kingdom are yet to be determined. The liquidation of these assets could be utilized in similar fashion as the United States did regarding Japanese and German properties vested under Alien Property Custodian, to compensate Hawaiian subjects who were subjected to forced conscription into the United States armed forces, to include deaths, during World War I, World War II, Korean War and the Vietnam War. Dr. Lynette Cruz, host of “Issues that Matter,” interviews Dr. Keanu Sai on recent trip to Italy. Dr. Sai was invited to participate in an academic conference in Ravenna, Italy, as well as guest lectures as the University of Siena Law School and at the University of Torino. Many people are not familiar with dispute resolution under international law and the role the Permanent Court of Arbitration (PCA) plays in international relations. When the first International Peace Conference was convened in July 1899 in The Hague, Netherlands, the major States of the world were in attendance. Its first treaty—Convention for the Pacific Settlement of International Disputes, established a global institution for international dispute settlement called the Permanent Court of Arbitration. 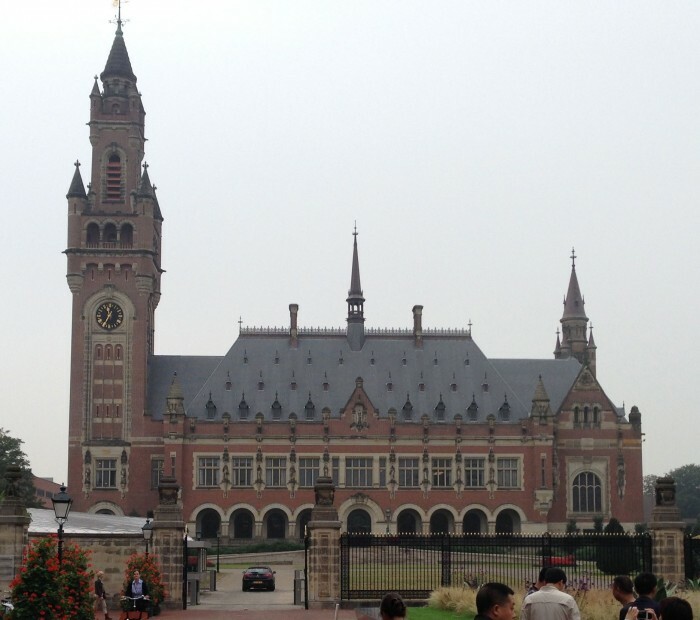 This international court predates the Permanent Court of International Justice established by the League of Nations from 1922-1946 and its successor the International Court of Justice (ICJ) established by the United Nations from 1946-present. The PCA is not your conventional court that has permanent sitting judges, but rather it has a permanent secretariat called the International Bureau, which is headed by a Secretary General. After the PCA accepts disputes from parties, the Bureau facilitates the establishment of ad hoc Tribunals in order to resolve the disputes depending on the arbitration agreement between the parties and the applicable rules. The fundamental difference between a court with judges and a tribunal with arbitrators is that the arbitrators are selected by the parties based on their expertise in the area of the dispute. Judges may not be experts in areas of the dispute and therefore there is a need to rely on expert witnesses. Arbitration alleviates that requirement because the arbitrators themselves are the experts. The PCA was initially limited to disputes between States that involved matters of public international law as well as arbitrating disputes over territorial sovereignty. By the 1930s, the PCA expanded its jurisdiction to include private parties that had a dispute with a State. One of these first cases involved a dispute between Radio Corporation of America, a private party, and China, being the State (RCA vs. China). Today, the jurisdiction of the PCA include disputes: (1) between two or more States; (2) a State and an international organization; (3) two or more international organizations; (4) a State and a private party; and (5) an international organization and a private party. As part of the International Bureau’s due diligence into the status of the Hawaiian Kingdom as an independent State under international law, the PCA’s Secretary General Van Den Hout made a formal recommendation to David Keanu Sai, Agent for the Hawaiian Government, to provide a formal invitation to the United States to join in the arbitration proceedings. 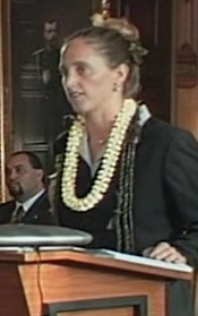 This would have one of three outcomes—first, the United States would dispute the existence of the Hawaiian Kingdom as a State and the PCA would terminate the proceedings, second, it could join the arbitration in order to answer Larsen’s allegations of violating his rights that led to his incarceration, or, third, it could refuse to join in the arbitration, but allow it to go forward. In a conference call held in Washington, D.C., on March 3, 2000, between Mr. John Crook, United States Assistant Legal Adviser for United Nations Affairs, Ms. Parks and Mr. Sai, the United States was formally invited to join in the arbitration. It wasn’t until a couple of weeks later that the United States Embassy in The Hague notified the PCA that the United States will not join in the arbitration, but asked permission of the Hawaiian Government and Mr. Larsen’s attorney to have access to all pleadings, transcripts and records. The United States took the third option and did not deny the existence of the Hawaiian Kingdom as a State. After the PCA verified and recognized that the Hawaiian Kingdom did exist as a State under international law with a legitimate government and that Larsen is a Hawaiian subject, steps were then taken to form the Tribunal. Mr. Keoni Agard, Esquire, was appointed by Ms. Parks, on behalf of Mr. Larsen, and the Hawaiian Government to serve as the Appointing Authority to work with the PCA in order to secure the appointment of three arbitrators. As the Appointing Authority, Mr. Agard was given a list of arbitrators provided by the PCA for each of the parties to select. 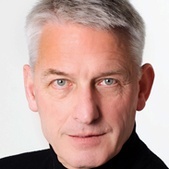 The Hawaiian Government selected Professor Christopher Greenwood, QC, and Ms. Parks selected Dr. Gavan Griffith, QC. These two arbitrators then recommended the appointment of a Presiding Arbitrator, Professor James Crawford, SC, which both parties agreed to. The Hawaiian arbitration fell under the PCA’s jurisdiction as a dispute between a “State and a private party.” The dispute was not about the existence of the Hawaiian Kingdom as a State under international law, but rather centered solely on whether Larsen could sue the Hawaiian Government for negligence by allowing American laws to be imposed in the Hawaiian Kingdom that caused his incarceration. The Tribunal stated to the parties that in this dispute the United States is a necessary party in order for Mr. Larsen to maintain his suit against the Hawaiian Government. The procedural questions that were given to the parties to answer in its written pleadings is whether or not these proceedings can continue without the participation of the United States. The Tribunal cited three international court cases that came before the ICJ and focused on necessary third parties as the precedence—Monetary Gold Removed from Rome in 1943 (Italy v. France, United Kingdom and the United States), East Timor (Portugal v. Australia), and Certain Phosphate Lands in Nauru (Nauru v. Australia). After written pleadings were submitted, oral hearings were held at The Hague on December 7, 8, and 11, 2000, and the Arbitration Award was filed with the PCA on February 5, 2001. The court concluded that the United States was a necessary third party and without their participation in the arbitration proceedings, Mr. Larsen’s allegations of negligence against the Hawaiian Government could not move forward. A common misunderstanding was that the dispute between Mr. Larsen and the Hawaiian Government centered on whether the Hawaiian Kingdom continues to exist as a State. It was not. The PCA recognized the continued existence of the Hawaiian Kingdom as a State because the United States, who claimed to have sovereignty over the Hawaiian Islands, did not refute the continued existence of the Hawaiian Kingdom when it had an opportunity to do so. The only claim that the United States had over the Hawaiian Islands was through American legislation and not a treaty. The PCA is very much aware that international law only allows annexation by treaty and not through a State’s municipal legislation. Of significance in these international arbitration proceedings is that the Tribunal in its Arbitration Award acknowledged “that in the nineteenth century the Hawaiian Kingdom existed as an independent State recognized as such by the United States of America, the United Kingdom and various other States,” and the PCA recognized the continued existence of the Hawaiian Kingdom as a State in the twenty-first century. The Permanent Court of Arbitration (PCA) has recently uploaded a Case Repository of current cases and past cases that came before the international court. Listed as one of the past cases that came before the PCA was Lance Larsen v. The Hawaiian Kingdom. The international arbitration began on November 8, 1999 and ended February 5, 2001. The PCA explicitly recognized the Hawaiian Kingdom as a State and the acting Government as its representative in arbitration proceedings instituted by a Hawaiian subject, Lance Larsen. If the Hawaiian Kingdom did not exist today as a State under international law, and there was no lawful government representing the Hawaiian Kingdom, the case would have never been accepted by the PCA. This is also recognition that the Hawaiian Kingdom was never annexed by the United States, but rather occupied since the Spanish-American War in 1898. 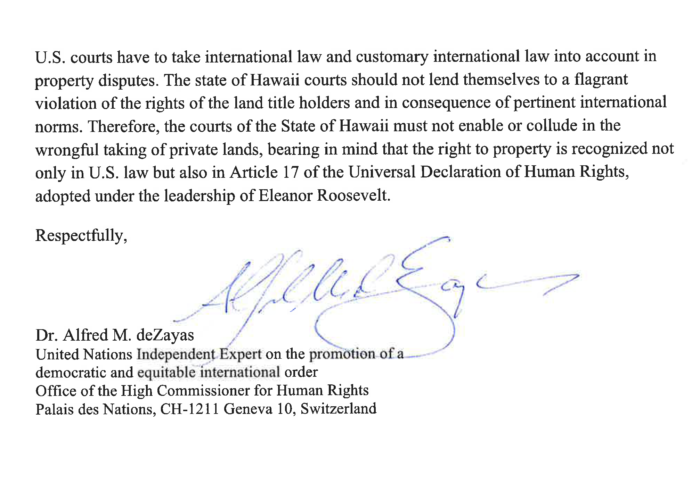 The international court’s explicit recognition of the continued existence of the Hawaiian Kingdom as a State under international law and the acting Government is definitive and removes all doubt of Hawai‘i legal status under international law. The tribunal concluded in its arbitral award that in order for Lance Larsen to maintain his suit against the acting Government, which he alleged was “in continual violation of its 1849 Treaty of Friendship, Commerce and Navigation with the United States of America, and in violation of the principles of international laid down in the Vienna Convention on the Law of Treaties, 1969, by allowing the unlawful imposition of American municipal laws over claimant’s person within the territorial jurisdiction of the Hawaiian Kingdom,” he needed the participation of the United States as an indispensable third party because it was the United States that allegedly violated his rights and not the Hawaiian Kingdom. His claim was that the Hawaiian Kingdom was negligent for allowing the imposition of American laws in the Kingdom in violation of the treaties. The arbitration tribunal was comprised of three highly respected experts in international law, and two the arbitrators, James Crawford and Christopher Greenwood were selected by the United Nations as judges on the ICJ. The United Nations selection is also recognition of the caliber of the arbitrators who served on the Tribunal in the Hawaiian arbitration. Other international arbitration cases held at the PCA that was similar to the Hawaiian arbitration, being a dispute between a private entity and a State, include, Hulley Enterprises Limited vs. The Russian Federation (2005), Romak S.A. vs. The Republic of Uzbekistan (2006), and TCW, Inc. and Dominican Energy Holdings, L.P. vs. The Dominican Republic (2008). The PCA was initially limited to arbitration between States, but has since evolved to include private parties against States. A dispute between private parties alone cannot access the PCA without the participation of a State. “Today the PCA provides services for the resolution of disputes involving various combinations of states, state entities, intergovernmental organizations, and private parties.” The United States was not only one of the signatory States to the 1899 Hague Convention, I, that established the international court, but it was also a party to arbitration cases at the PCA, The United States of America v. The United States of Mexico (1902), The United States of America vs. Venezuela (1909), Great Britain vs. The United States of America (1910), and The United States of America vs. The Netherlands (1925). The most recent arbitration at the PCA was The Republic of Ecuador vs. The United States of America (2011). The PCA is only open to disputes involving international law, which is the reason why a dispute between private parties cannot access the international court. 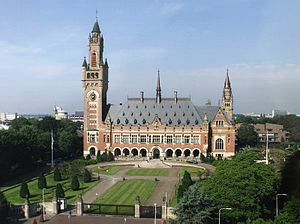 The United Nations Charter created the International Court of Justice (ICJ) in 1945 and it is housed in the Peace Palace together with the PCA. Unlike the PCA, the ICJ limits its access to disputes between States and not disputes between a private entity and the State. An interview of Dr. Keanu Sai and Ph.D. candidate Lorenz Gonschor by Dr. Lynette Cruz on Issues that Matter. The subject of the interview focused on the Hawaiian Kingdom as a non-European Power in the nineteenth century and its relationship with Japan. From September 10-12, 2015, fifteen academic scholars from around the world who were political scientists and historians came together to present papers on non-European powers at a conference/workshop held at the University of Cambridge, United Kingdom. Attendees of the conference were by invitation only and the papers presented at the conference are planned to be published in a volume with Oxford University Press. Many of these scholars were unaware of the history of the Hawaiian Kingdom and its “full” membership in the family of nations as a sovereign and independent state. What stood out for them was the continued existence of the Hawaiian Kingdom because it was only the government that was illegally overthrown by the United States and not the Hawaiian state, which is the international term for country. The belief that Hawai‘i lost its independence was dispelled and that its current status is a state under a prolonged American occupation since the Spanish-American War. Since 1858, Japan had been forced to recognize the extraterritoriality of American, British, French, Dutch and Russian law operating within Japanese territory. According to these treaties, citizens of these countries while in Japan could only be prosecuted under their country’s laws and by their country’s Consulates in Japan called “Consular Courts.” Under Article VI of the 1858 American-Japanese Treaty, it provided that “Americans committing offenses against Japanese shall be tried in American consular courts, and when guilty shall be punished according to American law.” The Hawaiian Kingdom’s 1871 treaty with Japan also had this provision, where it states under Article II that Hawaiian subjects in Japan shall enjoy “at all times the same privileges as may have been, or may hereafter be granted to the citizens or subjects of any other nation.” This was a sore point for Japanese authorities who felt Japan’s sovereignty should be fully recognized by these states. 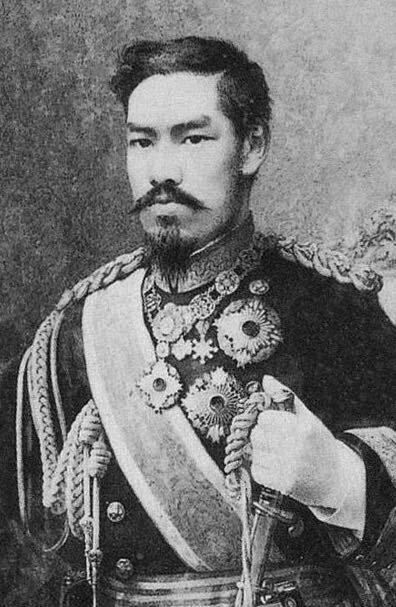 While King Kalakaua was visiting Japan in 1881, Emperor Meiji “asked for Hawai‘i to grant full recognition to Japan and thereby create a precedent for the Western powers to follow.” Kalakaua was unable to grant the Emperor’s request, but it was done by his successor Queen Lili‘uokalani. Hawaiian recognition of Japan’s full sovereignty and repeal of the Hawaiian Kingdom’s consular jurisdiction in Japan provided in the Hawaiian-Japanese Treaty of 1871, would take place in 1893 by executive agreement through exchange of notes. “Her Hawaiian Majesty’s Government reposing entire confidence in the laws of Japan and the administration of justice in the Empire, and desiring to testify anew their sentiments of cordial goodwill and friendship towards the Government of His Majesty the Emperor of Japan, have resolved to abandon the jurisdiction hitherto exercised by them in Japan. It therefore becomes my agreeable duty to announce to your Excellency, in pursuance of instructions from Her Majesty’s Government, and I now have the honour formally to announce, that the Hawaiian Government do fully, completely, and finally abandon and relinquish the jurisdiction acquired by them in respect of Hawaiian subjects and property in Japan, under the Treaty of the 19th August, 1871. There are at present from fifteen to twenty Hawaiian subjects residing in this Empire, and in addition about twenty-five subjects of Her Majesty visit Japan annually. Any information in my possession regarding these persons, or any of them, is at all times at your Excellency’s disposal. 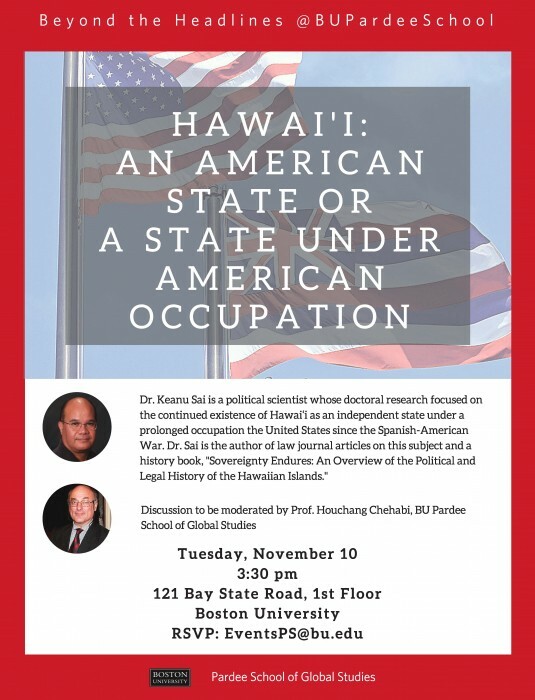 Dr. Sai encourages everyone to read his paper “Hawaiian Neutrality: From the Crimean Conflict through the Spanish-American War” that was presented at Cambridge, which covers Hawai‘i’s political history from the celebrated King Kamehameha I to the current state of affairs today, and the remedy to ultimately bring the prolonged occupation to an end. Section 8 states the RCMP would have jurisdiction if the alleged perpetrator “was a Canadian citizen or was employed by Canada in a civilian or military capacity [section 8(a)(i)];” or if the alleged victim “was a Canadian citizen [section 8(a)(iii)].” The July 7, 2015 RCMP response did not refuse jurisdiction on grounds that there is no armed conflict and that Hawai‘i is a part of the United States. On May 13, 2015, Kaho’okahi Kanuha, who was accompanied by Dr. Keanu Sai, Ph.D., filed a war crime complaint with the RCMP in Ottawa, Canada. On behalf of his client, Attorney Kaiama drafted the complaint for Mr. Kanuha and Dr. Sai provided a report on the status of Hawai‘i as an independent and sovereign state under international law that has been under an illegal and prolonged occupation by the United States. The war crimes that were reported were destruction of property, unlawful confinement, and denial of a fair and regular trial. On August 24, 2015 Martin Bedard, Inspector in Charge of the War Crimes Section in Ottowa, confirmed receipt of Mr. Kaiama’s August 12, 2015 response “containing additional allegations” and that the Section is would be (“are and will be”) considering the additional allegations contained in said response. 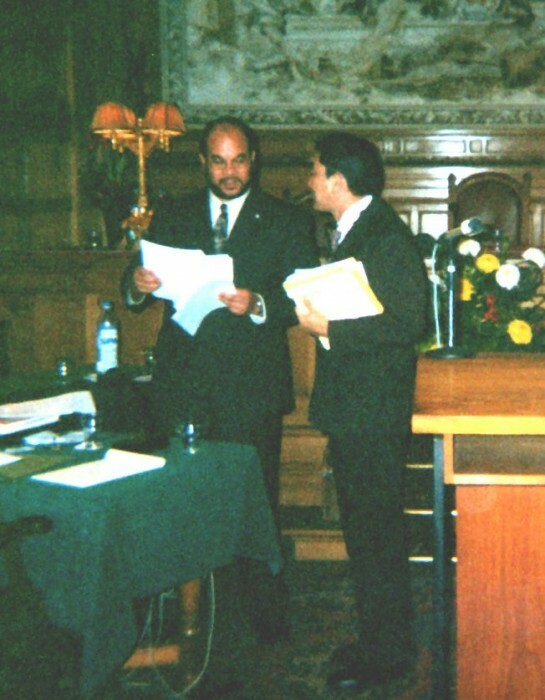 Attorney Kaiama, representing Mr. Kanuha (and additional presently unnamed victims), also filed a complaint with the Japanese Consul General in Honolulu, Hawai’i on August 14, 2015 to report the violation of international laws in the unlawful detention and deprivation his clients rights to a fair and regular trial, and the destruction of public property during occupation carried out by TMT International Observatory, LLC, (TMTIO) upon the summit of Mauna a Wakea. Through the filed Complaint, the Japanese Consul General was apprised of: (a) the comprehensive analysis of the international armed conflicts between the Hawaiian Kingdom and the United States from January 16, 1893 to April 1, 1893 and the current armed conflict since August 12, 1898; (b) Japan’s partnership in TMTIO through the Natural Institutes of Natural Sciences (NINS); (c) the destruction of public property during occupation upon the summit of Mauna a Wakea, beginning in 1970, and including Japan’s Subaru Telescope built in 1999; and (d) identification of the war crimes committed, and perpetrators of the reported violations.